Chinese New Year is one of the planet’s biggest holidays. In our Western-centered world, New Year’s Day has come and gone. But, for millions of others, Chinese New Year Day happens on other dates than January 1st. It is celebrated this year on February 5th, in numerous countries such as Korea, Vietnam, and many other Asian countries that have Chinese heritage or follow the lunar calendar. This coming year is the year of the pig. Chinese New Year is celebrated by families with pots of simmering food, red envelopes filled with money (red is a lucky color), lion and dragon dances, banging of drums, sparkling fireworks and loud firecrackers that fill the streets. In China, the top cities for new year celebrations are Beijing, with its colorful Temple Fairs; Guangzhou, with its Flower Fairs and Lion Dance performances; and Hong Kong, with the Parade, Fireworks, and Horse Racing. With Chinese New Year approaching, preparations are being made for celebrations not just in China, but anywhere that the Chinese diaspora calls home. 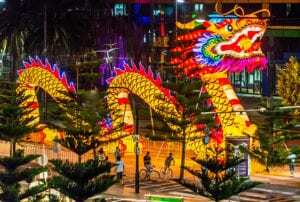 Cheapflights.com presents its top ten Chinatowns for those wishing to mark the day abroad or a little closer to home. Although it may not be as large or as long-established as others, having only become a center for the Chinese community during the post-war decades, London’s Chinatown is a perfectly formed little firecracker that knows how to see in the year with a bang. Customarily festooned with red lanterns, previous years have seen parades with lion and dragon dances through its streets and onward into the rest of the West End, as well as acrobatics, martial arts, and dance and opera displays nearby. In the southern part of the city center’s 13th arondissement, the Quartier Chinois (Chinese Quarter) is known as Europe’s largest Chinatown. Furthermore, the City of Light also has another, smaller and more recently established in the Belleville area to the north, as well as others dotted around the city, so visitors are spoiled for choice. Manhattan’s Chinatown, found on the Lower East Side, has been a major center of the city’s Chinese community for more than a century, with records of new arrivals setting up shop as early as the mid-19th century. 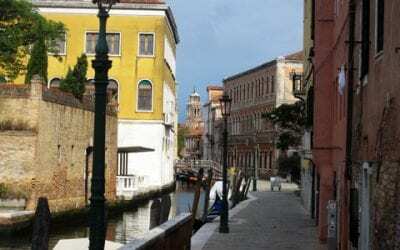 In fact, the neighborhood is known as one of the oldest ethnic Chinese enclaves outside the continent of Asia and such is its significance that the area encompassing it and bordering Little Italy has been designated a historic district on the USA’s National Register of Historic Places. Said to be the largest of its kind outside Asia and the oldest in North America, San Francisco’s Chinatown is perhaps the most famous in the United States. The city was the main entry point for Chinese who had crossed the Pacific to the USA during the mid-19th century. Between the more tourist-oriented Grant Avenue — where the signature red gate may be found — and the ostensibly more authentic Stockton Street, this historic area is a local treasure, attracting more visitors per year than the Golden Gate Bridge. Honolulu’s Chinatown is one of the oldest in the USA; its beginnings can be traced back to two ships that docked here in the 1780s. Today, Chinatown is one of the must-sees on the island of Oahu — great restaurants and food stalls, markets groaning with fresh, local produce and lots and lots of local color. The historic area, with well-restored buildings, transports visitors back to the bustling late-19th century. Downtown Toronto’s Chinatown runs along Dundas Street West and Spadina Avenue, although the Greater Toronto area has half-a-dozen Chinatowns. In years past, this area served as the focal point for the Chinese men who helped to build the Canadian Pacific Railway. It was thronged with grocery stores, restaurants and laundries. It is thronged today with shops and produce markets and a multitude of eateries (stalls and restaurants) that serve several mouthwatering cuisines, such as Hunan, Mandarin, and Cantonese. This Chinese enclave in the City of Glass centers on Pender, Main and Keefer streets, having grown from a small community centered around the Canton Alley and Shanghai Alley of the late-19th century to become Canada’s largest Chinatown. 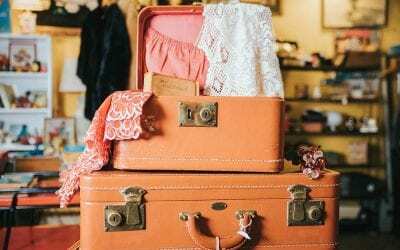 Trendy restaurants and boutique hotels stand side-by-side with grocery shops, bakeries and, in the summer months, a night market. Dr. Sun Yat-Sen Classical Chinese Garden at Carrall Street offers the chance to get away from the hustle and bustle for a few moments. Taking in Yaowarat Road and its surrounding area in the Samphanthawong district, the Thai capital’s Chinatown is one of the oldest parts of the city and contains a labyrinth of street stalls offering all manner of trinkets, tasty treats, clothes, toys, domestic products and antiques. Sunday market days are particularly bustling and it’s a good time to get the full flavor of the neighborhood. The area is also known for its gold dealers, whose shops line the road, and it has long been associated with commerce and prosperity. Found on Rue Royale in capital Port Louis, this Mauritian Chinatown illustrates the island nation’s rich multicultural diversity. Established in the early years of the 20th century by settlers from China, its tiny shops and restaurants serve both locals and visitors. 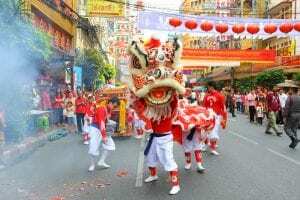 During the Chinese Spring Festival, the most exciting sight is the Dragon Feast, when Chinese musicians and dancers perform the traditional Lion dances through the streets. In 1851, Chinese prospectors flocked to the State of Victoria, drawn by the lure of gold. Melbourne’s Chinatown extends along Little Bourke Street between Swanston Street and Spring Street and is known by a couple of superlatives — the oldest Chinatown in Australia and the longest continuous Chinese settlement in the western world. The lodging houses for miners are long gone, replaced by restaurants (much visited by local university students and workers), shops and the Chinese Museum, which tells the stories of Australians of Chinese descent.